ServiceDesk works seamlessly with your existing IT staff to become the first line of technical support for your employees. As ComputerSupport.com handles your tier 1 tickets, any escalation of tickets is sent to your internal IT engineers. 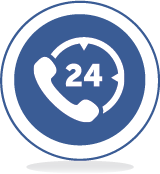 Remote support help desk is a convenient, fast and professional way of augmenting your IT services. It will free you up from technical headaches and enable you to focus on your core competencies, supporting the growth of your company. Our robust, scalable and cost-effective ServiceDesk offering will handle issues and management related to printers, scanners, computers, mobile device management, VPN set-up, wireless network connectivity as an example. What do I get with ITAnyWhere ServiceDesk? What are the common issues that are handled?